Just one day after exposing a handful of developers spamming the App Store with duplicate VoIP apps, a clear violation of the App Store Review Guidelines, TechCrunch reports that Apple has removed many of the apps from the App Store. However, the report notes that plenty of duplicate apps remain available in other categories, such as photo printing. 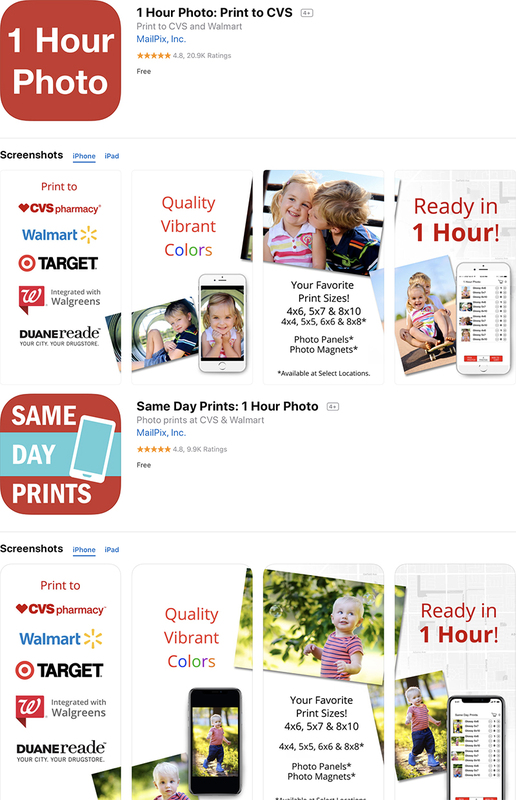 MailPix Inc., for example, has released three different apps that all offer same-day photo printing at nearby CVS or Walgreens locations. All three apps appear to be virtually identical in functionality. By releasing duplicate apps on the App Store, developers are able to game the search results by using different names, categories, and keywords. As the report mentions, the primary issue here is that Apple is not consistently enforcing its App Store Review Guidelines, which warn developers that "spamming the store may lead to your removal from the Developer Program." This can lead to an unfair playing field for developers who do abide by the rules. With millions of apps on the App Store, it is likely that quite a few other duplicate apps have slipped through the cracks, but hopefully the increased awareness results in Apple cracking down more on these rule-breaking developers. More proof that Apple does nothing. If an app on their store steals or destroys your information and you get enough press interest, then they'll consider taking it down. That's all their customer care amounts to these days. So you didn't read anything in the article, just felt the need to complain about something completely unrelated? Guess its really true, humans are more motivated online to be negative than positive . Thanks for the tears. Sometimes I wish MacRumors would do more to censor away eternally repeating whining. create better apps and people will find them. 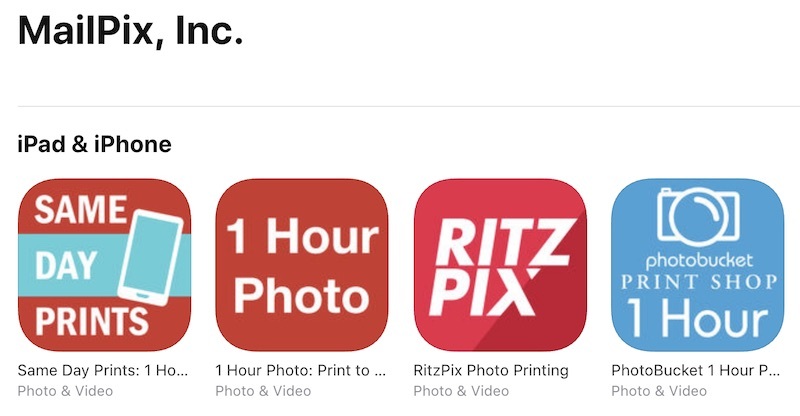 "Apple Cracking Down on Developers Spamming the App Store With Duplicate Apps"
Good. Plus, I soooooo wish Google would do this, as well. It's not always the same developer. A third-party may provide an open-source app or sell an app to "developers" that they can then put on the app store as their own. The end result is you have several different developers all selling the same app. I was searching for a duplicate photo cleaning, and I kept seeing the same app over and over, released by different developers. Both Apple and Google have this crap, and they both are filled with fake 5-star reviews. You're equating spamming apps with email spam? Maybe a false equivalency, but that’s me. The MacRumor articles I referenced were two separate things: email spam and notification spam. I did that to draw attention to the fact that Apple also spams in their own way. Not a "false equivalency" but a comparison of various methods of spam, some of which Apple finds acceptable and others they do not. These days actions against shady developers only seems to happen when the media reports it. On a positive note, maybe it means legitimate apps won't be rejected for providing genuine utility (volume button as a camera shutter incident from years ago comes to mind). If only it didn't take a news report for Apple to enforce its own policies. Maybe Apple should hire some of these journalists full time to help them in the app store.